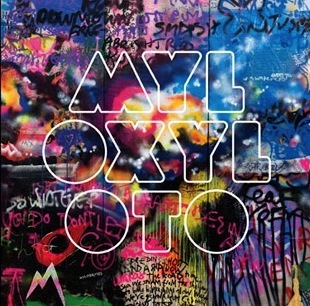 CD Review: Coldplay, "Mylo Xyloto"
Popdose reviews the new Coldplay album, Mylo Xyloto, and wonders if they’re stealing from U2’s playbook a little too often. It is becoming harder and harder to defend Coldplay from the complaints that they are working directly from the U2 playbook. Both of the groups have been, over the years, anointed the “Biggest Band In The World.” Both groups started out fairly humbly, with U2’s anthems mirroring the spiky post-punk of their day and Coldplay reflecting the slightly alien pop music of Radiohead. Both bands seemed to ascend to greater heights of popularity with nary a misstep, despite how critics might have reacted to the merits of the music itself. U2 hit new heights with The Joshua Tree, as did Coldplay with X&Y. Both went even farther with their next efforts, Achtung Baby and Viva La Vida (co-opting foreign languages for the titles too, in case you hadn’t noticed), and both have served under the gaze of producer Brian Eno. will trend negative. Either way, it feels like a plateau and not a continued climb. , sounds like a Third-String Superman Villain. When it was said that it is a loose concept album involving two lovers, one named Mylo, the other Xyloto, my antennae raised up. I like concept albums, as previous work on Popdose will avidly attest to, and when someone says “loose concept,” it usually means a poorly constructed concept, no concept whatsoever, or, “we were so high that we needed an excuse.” I’ve heard enough of these things to figure that out all on my own. But lately, Coldplay hasn’t been in that business. The simple connection that exists in the song “Trouble” is noticeably absent from every track from Mylo Xyloto, as it was to an extent on Viva La Vida. The predecessor, while sounding very good, had no stickiness in the tunes and subsequent to listening I would take the record off the turntable, put it away, and immediately think about something else. It wasn’t hate at all, but that weird sense of not-love, disinterest, and calculation to a degree. When U2 released Zooropa, the “concept” of Bono as The Fly threatened to overtake what the group had previously built up, heaping on excess and claiming they were satirizing it when, in actuality, they were reveling in it. Coldplay knows they are the biggest of the traditionally-known bands in the world which, in the Internet age, isn’t as impressive as it used to be. For a flicker of a moment, Willow Smith’s “Whip My Hair” and Rebecca Black’s “Friday” were the biggest songs in America and I’ve heard neither and foster no desire to either. If you can download something and ingest it as easily as you can sneeze, it is hard to take claims of world dominance too strongly anymore.
. Both are made by professionals and, by turns, better darn well sound like it. They do. If you don’t expect to invest tons of interest in the albums, you’ll appreciate them more, even if they’re just soundtracks to get aerobic to down at the gym (and there is a bit of a heightened dance element to Mylo Xyloto; perfect for Zumba classes). is going to experience infrequent and half-attentive play time. That’s about the best I can afford it.